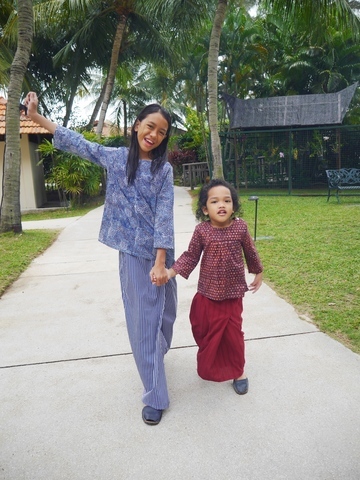 It is a simple cut Kurung Kedah top that we made 3 years back. It has 2 buttons on the shoulder for easy wear. 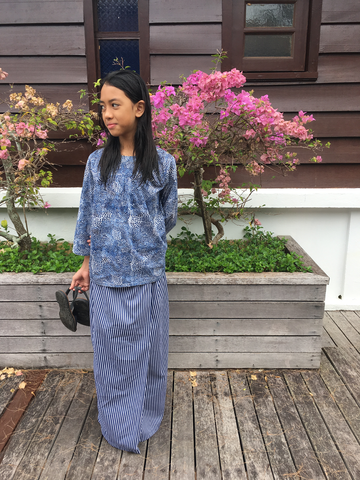 Pair it with kain sarong lipat and lets take family picture together! The design is not too adult and not too kiddy, we just want the kids be kids while they are still small. And since we love colors so much, we prepare lots of fancy colors for them to match with the parents' outfit. Measurement for Nia top and bottom can be referred here.